With some credit cards you can collect Avios on all of your purchases, making it easier to collect points. Some credit card providers can also give you bonuses on Avios, rewarding you with extra points simply for signing up for their credit card or by shopping at selected shops. Like many customer loyalty schemes, Avios are reward points you can collect by shopping. When you have enough points you can use them to spend with some airlines and travel providers, including hotels and car rental companies. What can I spend Avios points on? Avios is primarily targeted at customers looking to get rewards on travel purchases, such as flights, hotels and car rental, but you can use them on a wide range of products and services, depending on what is available via their website. In some cases, you can also use your Avios to purchase experience days out, travel insurance and other products, including beer and wine. The Avios website has a full list of what customers can spend their points on. On some flights, taxes and fees make up a large proportion of the cost, which is not covered by Avios. That means Avios is likely to give you the best value on flights when you can cover as much of the price as possible. You can also use Avios to upgrade your seat on a flight. It may seem excessive to spend almost double the price of an economy seat to upgrade to first class, but if you have the points, it can be a cost-effective way of giving yourself an upgrade. What are Avios points worth? According to British Airways, you can get a return flight to Berlin or other similar locations within Europe using around 9,000 Avios. You can get a return flight to Rome with around 15,000 Avios, and Marrakech with around 20,000. Generally you will need 30,000 or more to go to most places outside of Europe. However, you can also use your Avios to pay for part of the flight's cost (minus taxes and fees), so if you have only 10,000 Avios you might be able to put it towards the cost of a flight. It may be better value to save your Avios to spend in one go to cover most of the flight costs, but they can be useful when you just want an upgrade or a little discount. 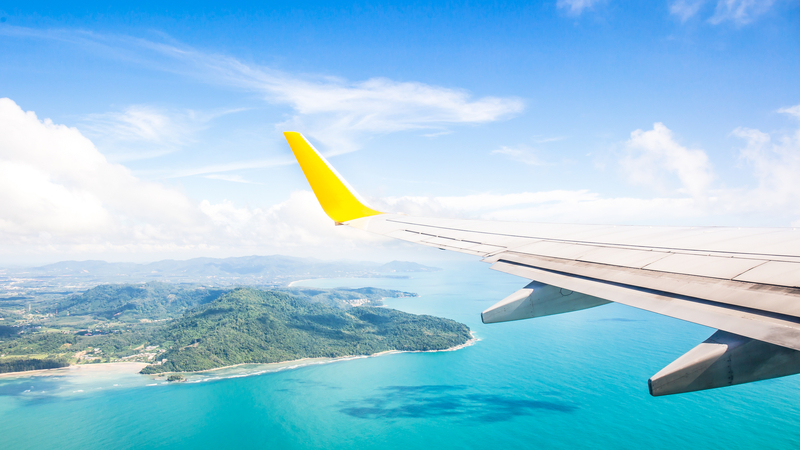 Remember, taxes and fees still apply, so you will never get the whole flight on your Avios. Which airlines accept Avios points? Other airlines, such as Virgin and Fly Emirates, have their own reward points schemes. Obviously, these schemes only work for their flights, and as a result they don't accept Avios. They do work in a similar way to Avios and you can find credit cards that offer specific airline rewards. It just means the rewards will only work for you if you plan to fly with those airlines. How can I earn Avios points? You can earn points by joining Avios and shopping via their website. Avios has partnerships with several online retailers, including leading high street brands. Each time you spend money with that retailer via the Avios website, you collect a certain number of points depending on each shop's terms and conditions. Avios says you can collect up to 12 points per £1 spent, but you're more likely to find deals of around 4 points per £1. You can also earn points via any of the airlines that are partnered with Avios. By paying for a flight or holiday with British Airways, for example, you can collect Avios points to redeem on future flights. There may be restrictions or charges if you want to spend Avios earned this way elsewhere so be sure to check the terms and conditions first. With an Avios partnered credit card you can collect points fairly easily and possibly even get a large sign-up bonus. Some of the leading airline credit card deals on the market can give you around 10,000 Avios or even more, if you spend a certain amount within the first few months of signing up. Generally, you get around 1 to 3 Avios points per £1 spent - but you can get more in some cases. This usually applies to all shops, and there might be a bonus for spending at selected shops. Some of these credit cards have a sign up fee and have higher interest rates, so it all depends on what works best for you and your lifestyle. Don't simply choose the credit card that offers the most Avios points. Would I be better off with another rewards or cashback scheme? Choosing a rewards credit card is tricky, as all of the perks generally have more merit than others depending on each individual's lifestyle and financial habits. Essentially, it is subjective and down to personal choice. If you travel regularly, have a high income and can afford to repay your debts in full and on time, then you would be better off with an Avios card that has the highest rewards. This obviously comes at a higher sign up fee and higher interest rates, but overall you would be more likely to benefit. If you don't travel much, then a cashback or a general rewards credit card might be better for you. If you don't have a high income and might not be able to repay your debts in full and on time, then you'd be better off avoiding a rewards credit card altogether. These credit cards can afford to offer great rewards because they have higher rates of interest than most credit cards on the market. The way to get the most out of them is by not paying any interest.